If you are reading this, it probably means that you already know that there is a lot of fake Argan oil out there, and you’re doing some research to find the best Argan oil. Welcome! I am Habiba, founder of Ayelli, producer of Argan oil, cosmetic formulator and born and bred Moroccan. I know that seeing how much low-quality Moroccan Argan oil there is in the market is frustrating, so I wanted to share this ultimate guide to finding the best pure Argan oil. I have been asked many times about how to tell whether Argan oil is fake or pure so this guide will give you all my best tips. The demand for Moroccan Argan oil has been significantly growing for the past few years. With the increasing number of brands claiming to offer Argan oil, it can be overwhelming to shop for it. It’s important to know that not all Argan oil is created equally. 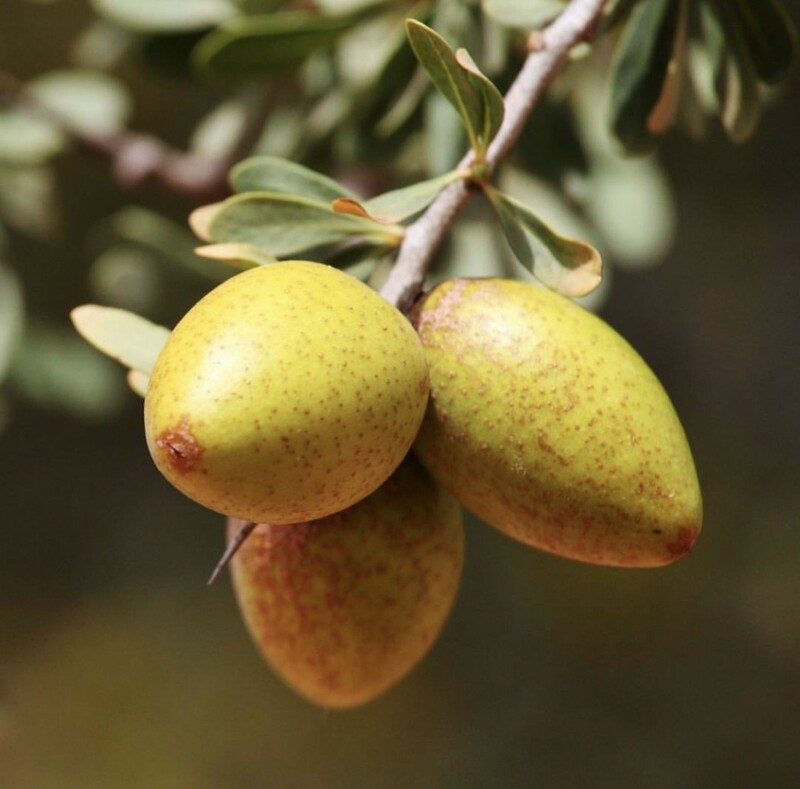 Since the Argan tree is endangered and the oil production is very difficult, there is a lot of low quality Argan oil being produced to meet the growing international demand. This is also one of the reasons I decided to create Ayelli. The Best Argan Oil: What to Look for on the Argan Oil’s Label & Package? So how do you make sure you’re getting the real deal? Here are the main points to consider while shopping for the best Argan oil. Ingredients: Make sure you read the label! And I don’t mean just the front label but the back of the label where the ingredients are listed. 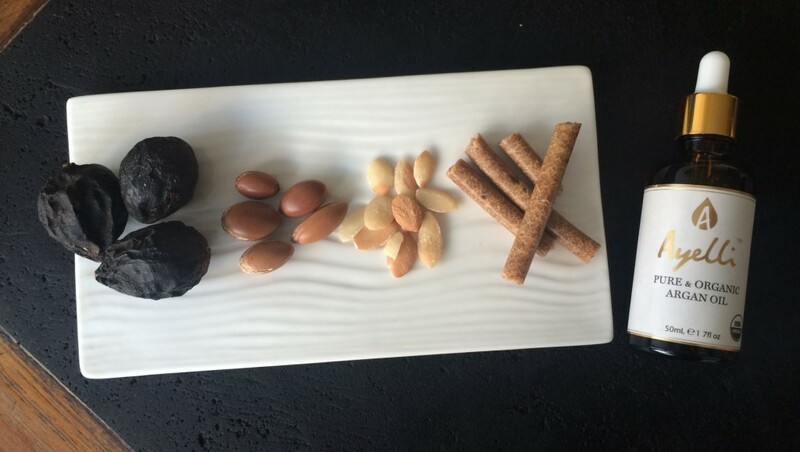 There shouldn’t be anything other than 100% pure Argania spinosa (Argan) kernels in the ingredients list. Learn how to read cosmetic labels here. Organic labels: Look for USDA, Ecocert, and Agriculture Biologique certifications. These organic labels ensure that the Argan oil has been confirmed by the USDA or relevant certifying body to be grown and produced without the addition of synthetic ingredients or pesticides. An organic label gives you the peace of mind that the product is healthy, environmentally friendly and guarantees the best Argan oil. Not to confused with ” 100% Organic or Contains Organic ingredients”. Read for more details on these different appellations. Country of Origin: Morocco is the only country in the world that can produce the best Argan oil. If your Argan oil is made in Australia, USA, Japan, Korea, or anywhere else in the world, it is fake! The Argan tree is endemic to southwest Morocco. Bottle: The bottle should be dark and made of premium quality glass. Anything in clear bottle, plastic, or even aluminium will make the oil deteriorate quickly. Exposure to light breaks down Argan oil’s natural properties, so it is best kept in dark glass bottles. Cold pressed & Not hand made: Make sure it has been cold pressed in a controlled environment. Premium cold pressed Argan oil can last 18-24 months. Also, avoid Argan oil pressed by hand, as this is an old technique that is not considered hygienic and doesn’t conform to international quality control standards. “Handmade” is just another marketing term to make Argan oil sound more authentic. Argan oil production requires picking the fruit, drying it, and cracking the pit, but that’s as far as “handmade” should go. Pressing and filtering by hand was an old technique used only for instant personal usage. 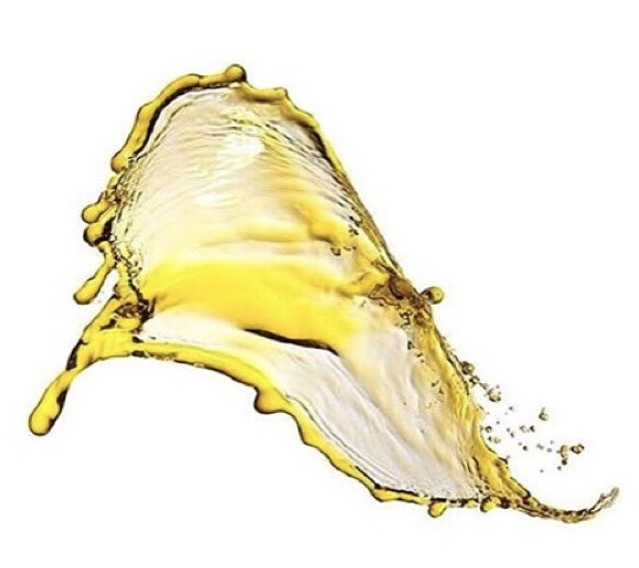 If Argan oil is made in an ancient grinding machine, it won’t reach the quality required for international hygiene standards and is not meant for sell and export. Small, fresh batches: There is only so much Argan oil that can be produced every year, and pure Argan oil is extremely rare. If your vendor has a large stock, it probably means they are using pits from a previous year’s harvest, which are not the freshest. The price: Argan oil can quickly go from a few dollars per bottle to hundreds. The price can be a good indicator of quality—but not always. The fact is that pure Argan oil is rare, in high demand, and hard to produce, so it doesn’t come cheap. If you find a bottle of organic pure Argan oil that is “cheap” and similar to the price of an over-the-counter serum, it is not of a good quality. However, just because bigger, more famous brands are expensive, it doesn’t mean you are paying for the premium ingredient. It’s likely that you are paying for advertising and marketing expenses. Confusing, I know. But keep reading. The Best Argan Oil: How to spot fake Argan Oil ? Currently, there are no strict regulations on labelling within the cosmetic industry. Therefore, brands are able to put whatever they wish on their labels, whether or not it is true. Since you can’t always trust the labels, here are some other ways to identify whether your Argan oil is pure or not. Smell: Pure Argan oil has a subtle nutty scent that disappears quickly. If your Argan oil smells like eucalyptus, rose, vanilla, or any nice commercial fragrance, it means that it is diluted. On the other hand, if your Argan oil has absolutely no smell, it is because it has been deodorized. Deodorization is a process that damages the oil’s natural properties and is often used to remove the nasty smell when the Argan nuts are taken from goat droppings. Gross, I know! But this oil is unfortunately widely available on the market. The Argan oil that smells like a salad dressing oil or Mediterranean dip is culinary Argan oil. It is good for your heart and cholesterol, but it’s not of cosmetic grade and thus won’t give you the hair and skin benefits you need. Color: The best Argan oil should be of a gold, yellowish color. If your Argan oil is too dark or almost transparent, it means that is has been bleached. Bleaching is another common production process that exposes the oil to extreme heat and damages its natural properties. Pure organic Argan oil should not contain any sediment. If it does, it means that it has been handmade and pressed using a traditional non-hygienic machine, a technique that makes for nice touristy pictures in cooperatives but does not fulfil international production standards or cosmetic regulations. Results: They should be both instant as well as progressing with time. Whether it is to erase fine lines, prevent wrinkles, hydrate your dry skin, or repair hair damage, you should see positive changes such as hydration almost immediately. Deeper damage like sun spots and dullness will gradually improve over a short period of time. Positive results on skin and hair’s hydration and aging are guaranteed. Know your vendor: It is the easiest thing to buy Argan oil in bulk from anywhere in the world, bottle it, and resell it. Getting Argan oil anywhere in Morocco doesn’t guarantee its purity or quality, so it’s important to know more about the Argan oil brand you’re buying from. With the surge of natural brands, it’s a good idea to find out how well the founders – who may also be the producers – understand the production process of pure and organic Argan oil. Your purchasing decision has a large impact whether you decide to buy from a middle man, reseller, or producer. The quality and thus results can vary tremendously based on who you decide to purchase from. Every day we get contacted by customers telling us how happy they are with Ayelli Pure Argan oil. We are grateful and honored that more than just a brand, we are building a movement of green beauty empowerment #AyelliBeyondBeauy so that you can be more involved and in control of what you purchase. A movement to prove that organic beauty products with a positive impact on your well being and social environment is possible. The benefits of Argan oil go beyond hair and skin moisture and repair. Argan oil production is the pillar of a growing socioeconomic region and the bread and butter of the female rural farmers that we employ and empower. Argan oil is a product with an impact, so it’s important to make a conscious purchase. Learning how to decipher mainstream Argan oil from a premium grade, pure, organic Argan oil shouldn’t be complicated. By understanding the key differences described above, you will save not just and time and money, but also make the best purchasing decision for your health and environment. Do you have any questions about the difference between fake and pure Argan oil? How do you choose your Argan oil? Comment below and share this article as a subscriber and you will receive our ultra-hydrating Argan cleansing bar worth $19 for FREE* Sharing is caring! Let’s chat!